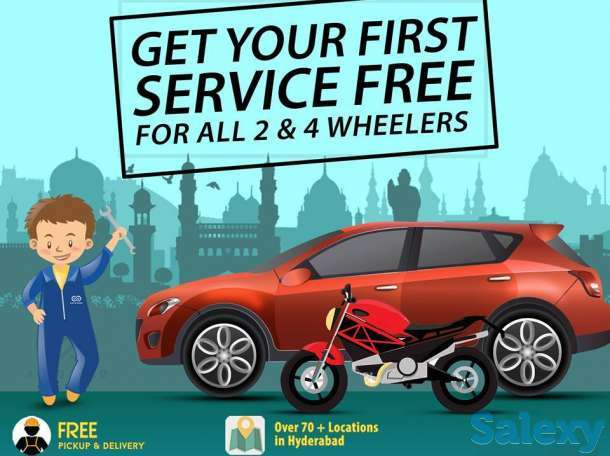 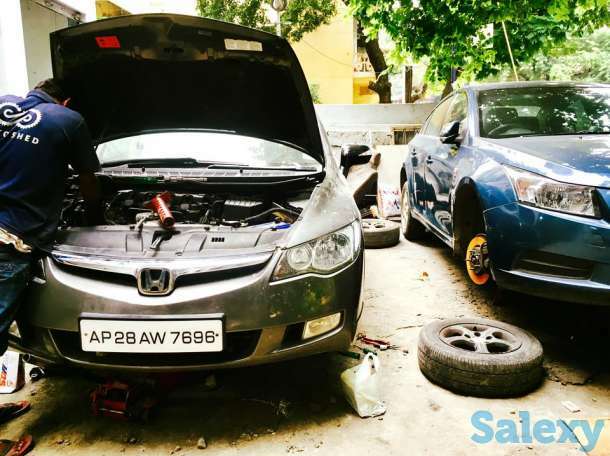 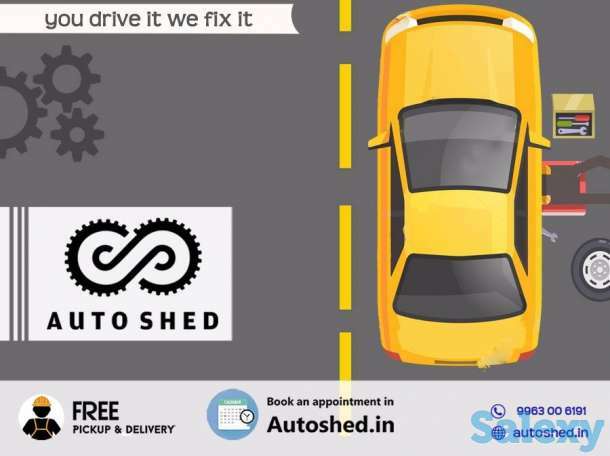 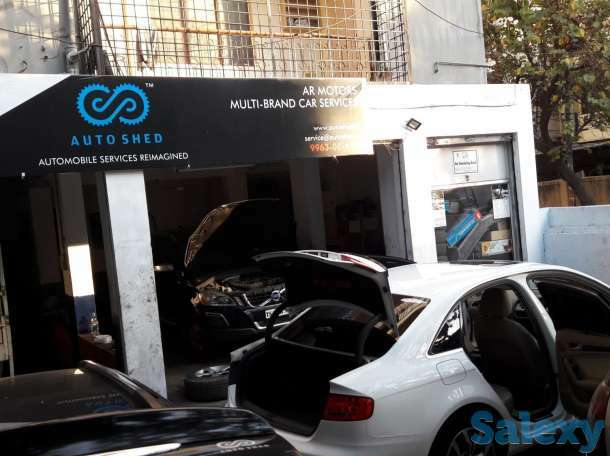 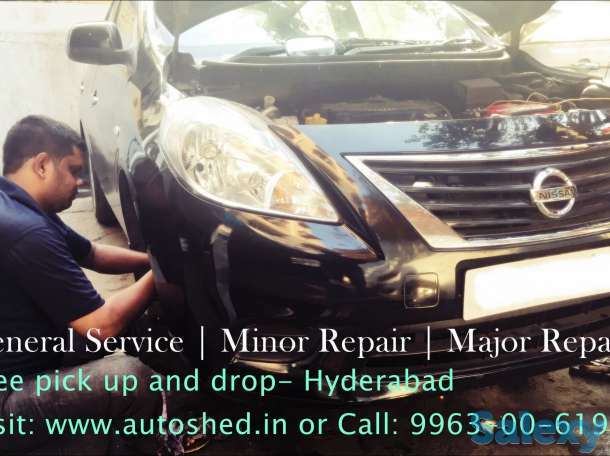 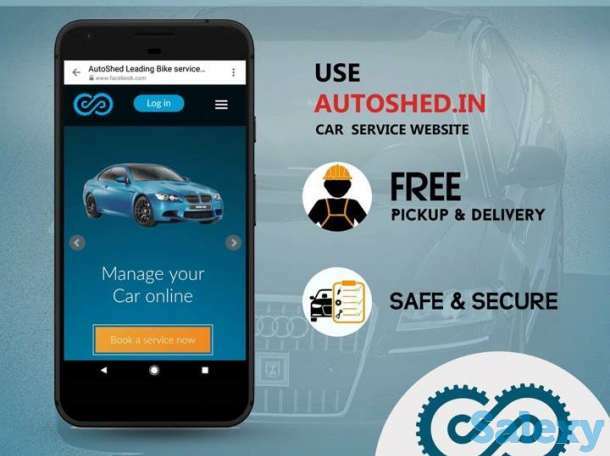 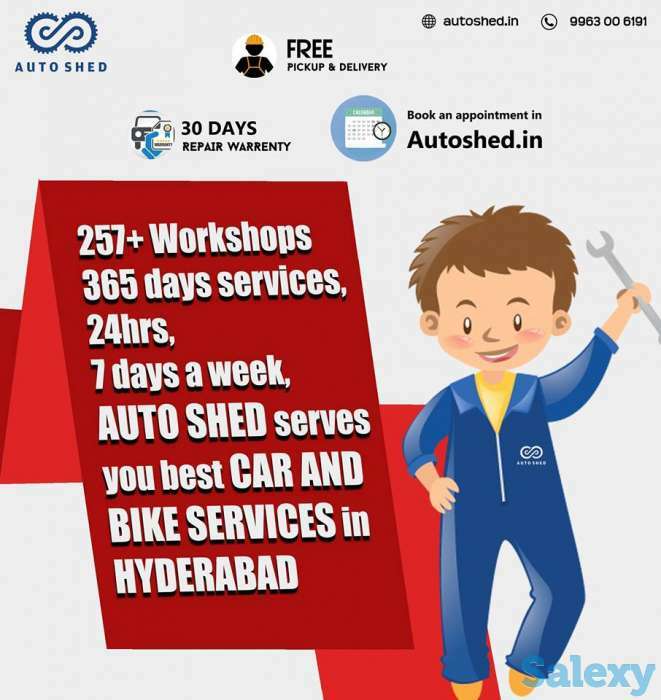 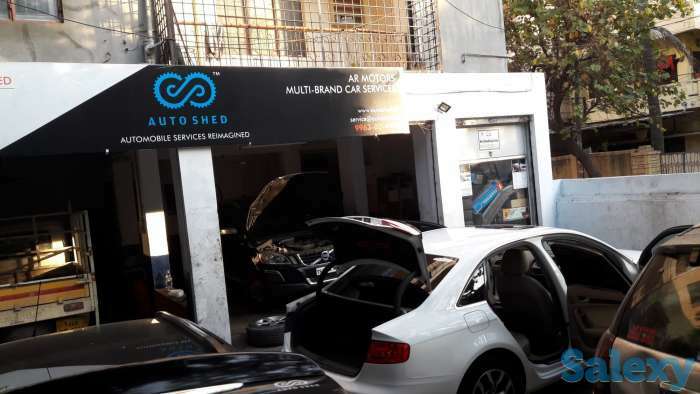 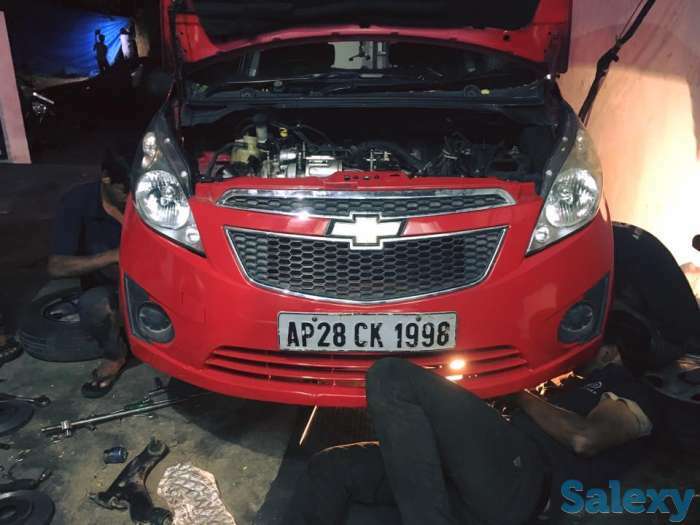 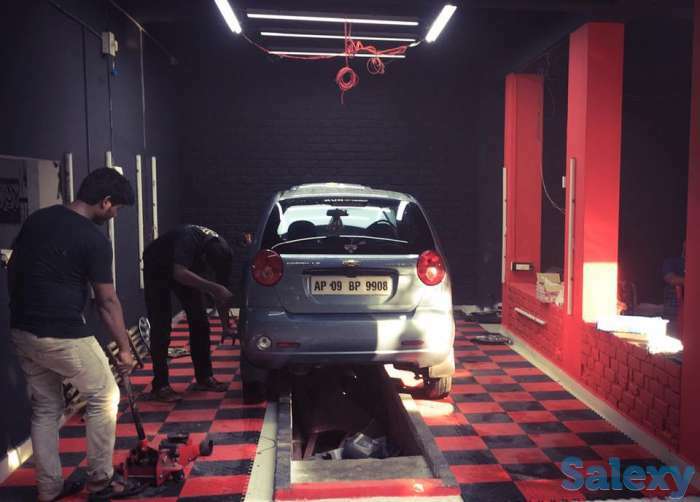 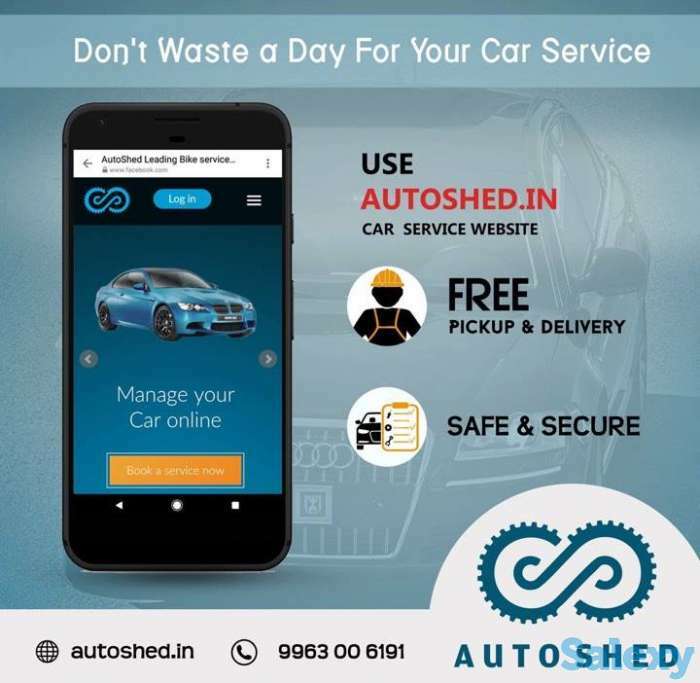 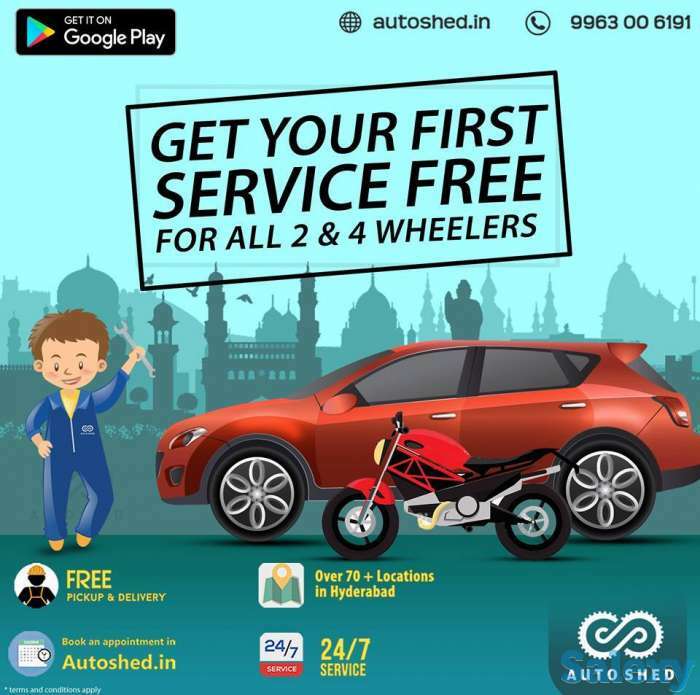 AutoShed – Leading Car and Bike services in Hyderabad. 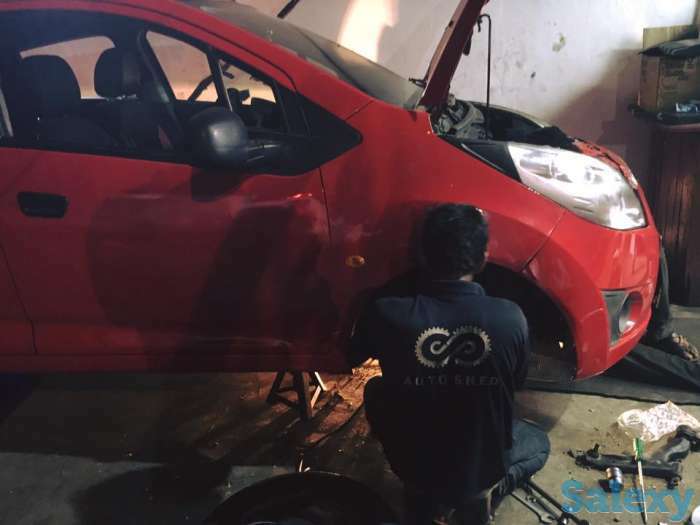 Over 90 locations, expert technicians, and best customer support. 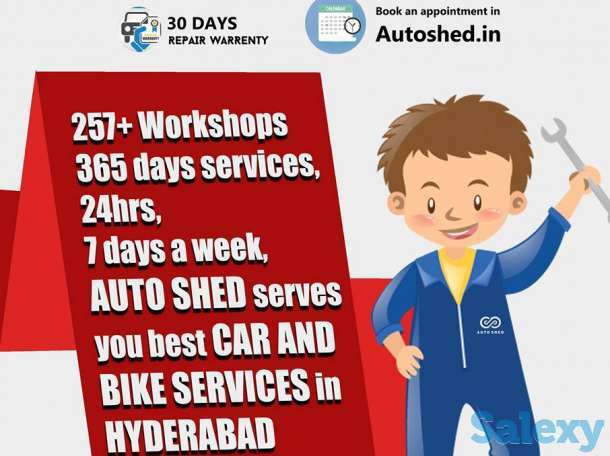 We provide affordable, convenient and transparent services. 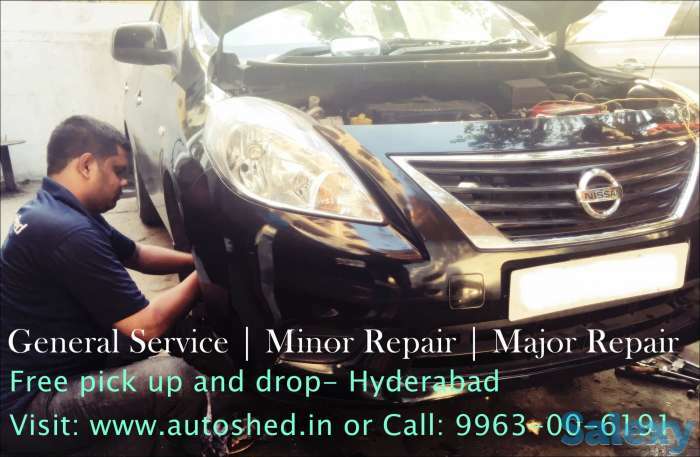 We work 24*7, 365 days a year, with Free pick and drop services. 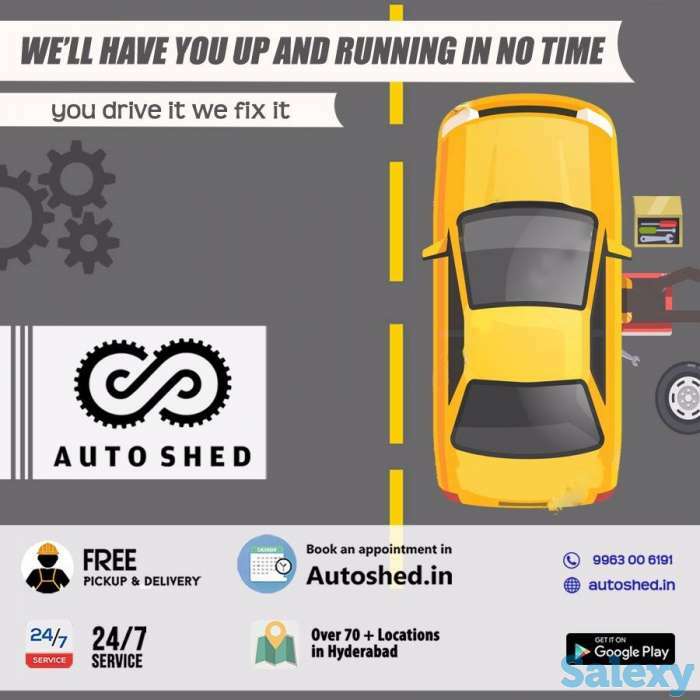 Full Car Wash, Vacuum Cleaning and Polishing Interiors, Engine Oil Change, Brakes Check, Clutch Check, Electrical Systems Check, Suspension Check, Mileage Check, Battery Check, Tires Check, Filters Check and Replacing Full. 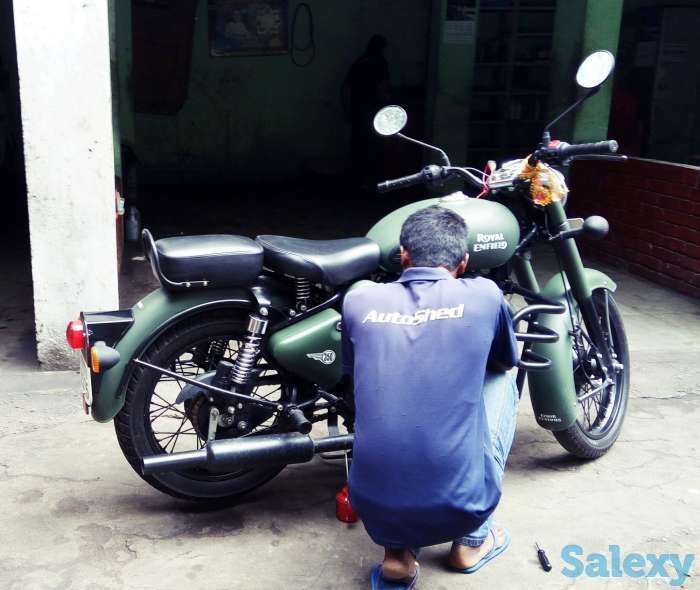 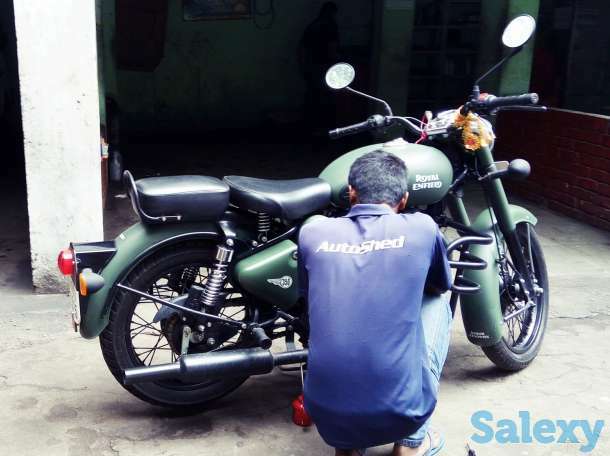 Engine Oil Change, Carburetor Cleaning, Spark Plug Clean, Disk Brake Oil Top Up, Rear Brake Check/Setting, Chain Check/Setting, Air filter cleaning, Lights and Indicator Check, Battery Check, Tyre Check, Washing, Oil/Grease the chain and other parts, Next Servicing Forecast, Clutch check and adjustment. 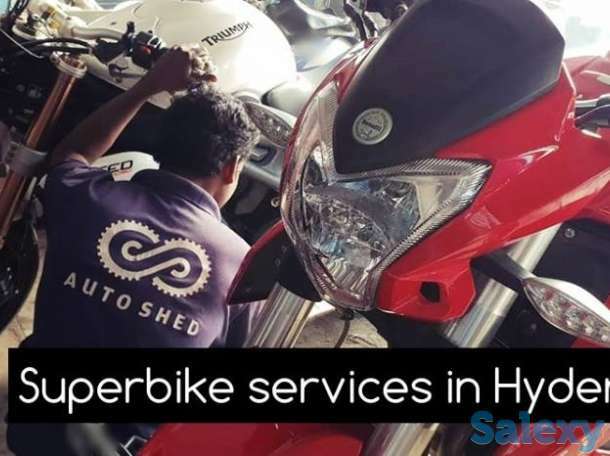 Jubilee Hills, Banjara Hills, Hitech City, Madhapur, Gachibowli, Kondapur, Hyderabad, Narayanguda, Barkatpura, Himayatnagar, Chikkadpally, Kachiguda.